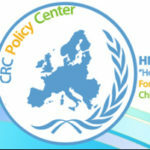 Despina Louvia works as a Social Worker at “Hope For Children” CRC Policy Center since September, since 2016. She works at the ‘Children’s House’ as a Family Counselor for children who are victims of sexual abuse and exploitation and their families. Despina holds a bachelor degree in Social Work from the European University of Cyprus. During her undergraduate studies she was actively involved in different internship programs. 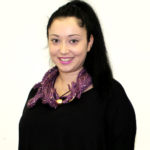 Despina holds a master's degree in Youth and Community work from Manchester Metropolitan University, which is accredited by the National Youth Agency and recognized by the Joint Negotiating Committee. During her master’s degree, she had the opportunity to work with different youth groups, such as Roma young people in the Levenshulme Youth Project. Her master's thesis addressed discrimination of Roma young people in Manchester and more specifically in Levenshulme and how Youth and Community can promote equality and social inclusion. Despina’s first internship was in the after school children's center of Nicosia Multi-Dynamic Municipal Center. During her second internship, which was available only for undergraduate students who were successfully meeting academic criteria, Despina worked as a Social Worker at Cyta Cyprus Telecommunication. Her bachelor thesis focused on child abuse and the social worker's role in preventing and eliminating abuse. Despina also worked at the children's shelters of the Organization, 'Homes of Hope', as a Social Worker. Her role at the shelters concerned mainly the maintenance of a therapeutic framework, using positive discipline strategies and related behavior modification techniques, using effective crisis intervention and counseling techniques. She was also responsible for the recording of Social Histories of unaccompanied minors staying in the shelters. These Social Histories were then sent to the Social Welfare Services. During her work at the shelters, Despina participated in the monitoring and rehabilitation of adults’ asylum seekers and refugees, who were former residents of the shelters (through regular meetings and visits to the houses where they live in Cyprus). An additional role Despina has in the Organization is to implement experiential workshops in public and private schools based on issues such as school bullying, child abuse, human rights and anger management.